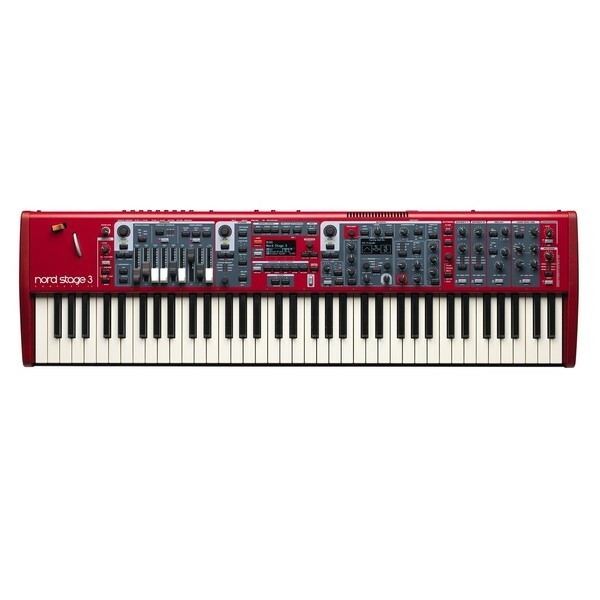 The Nord Stage 3 Compact Digital Piano features a fully developed sound in an easily portable format. 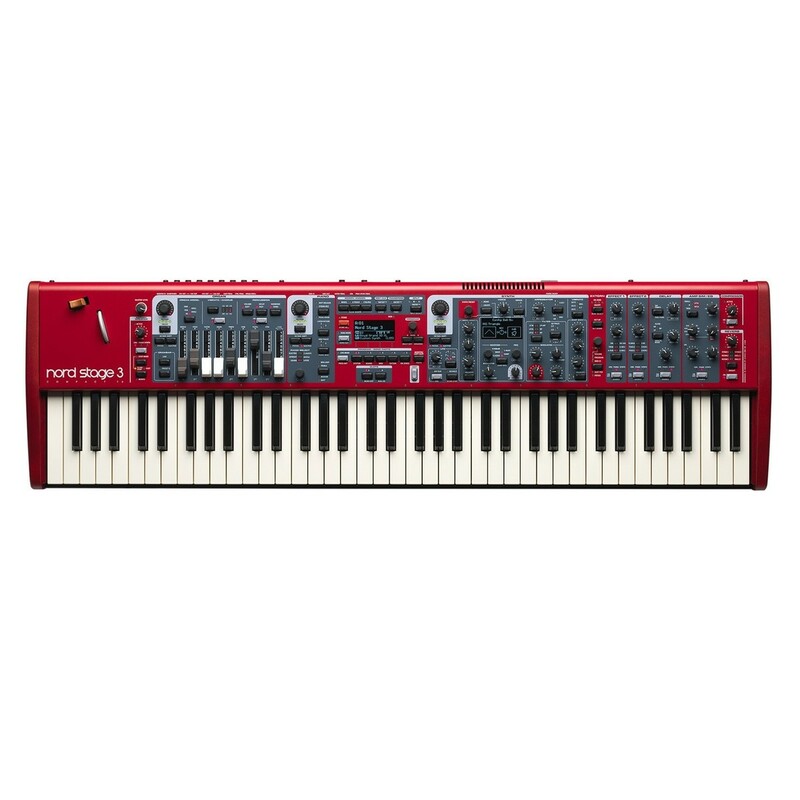 The Stage 3 has 73 keys in an E to E range, which is ideal for musicians who require versatility without needing a full size board. 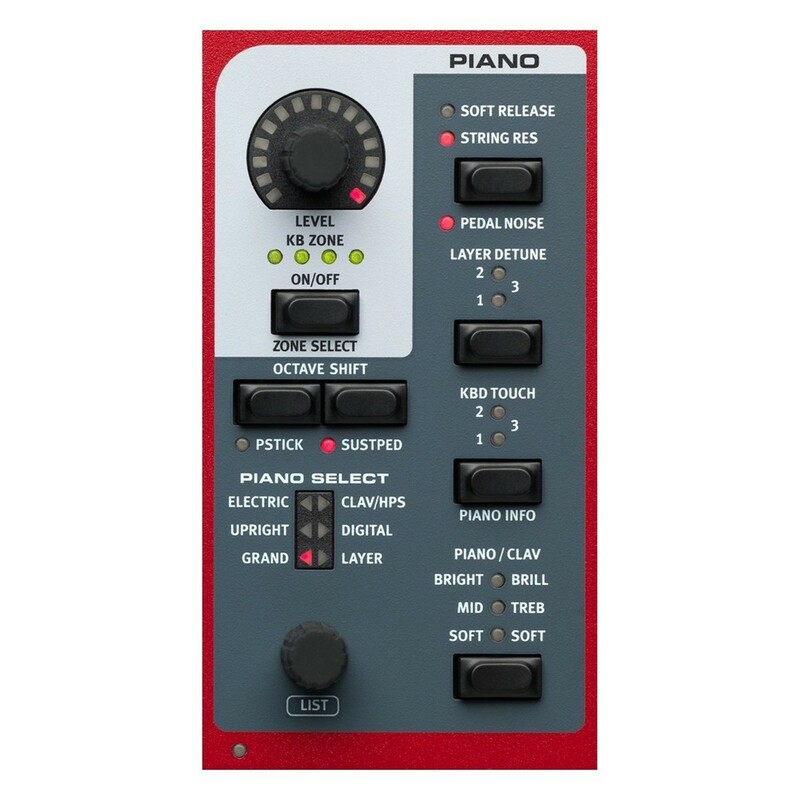 This model benefits from piano, synth and organ sound engines to produce a versatile range of voices with tonal depth. 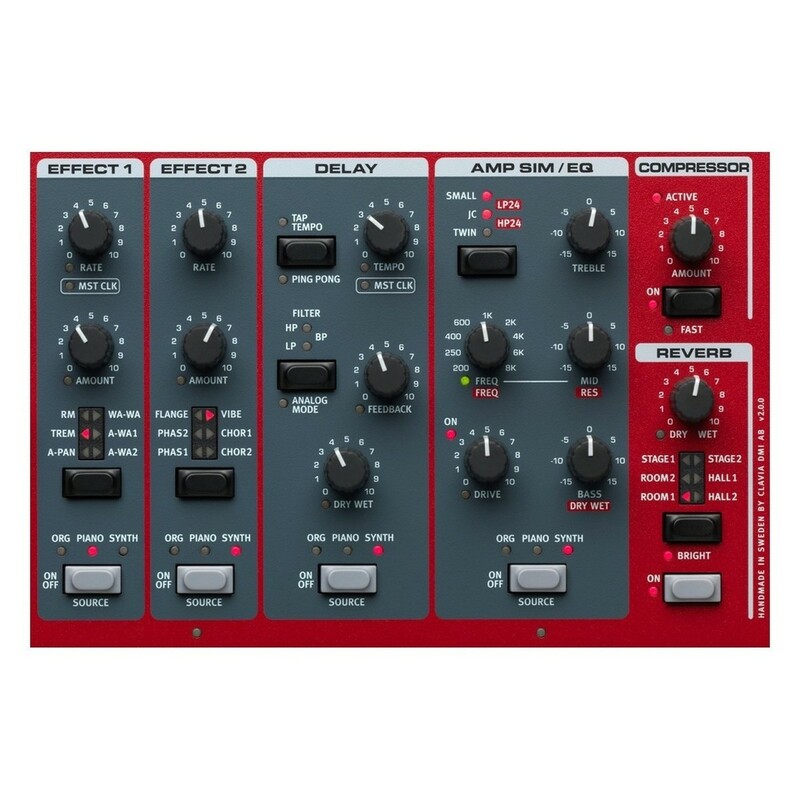 The Stage 3's Lead A1 synthesizer can access up to 2GB of samples and voices, as well as a wealth of effects to achieve the exact sound each musician requires. The Stage 3 is just 1070mm in width, making it compact enough to frequently go to gigs. 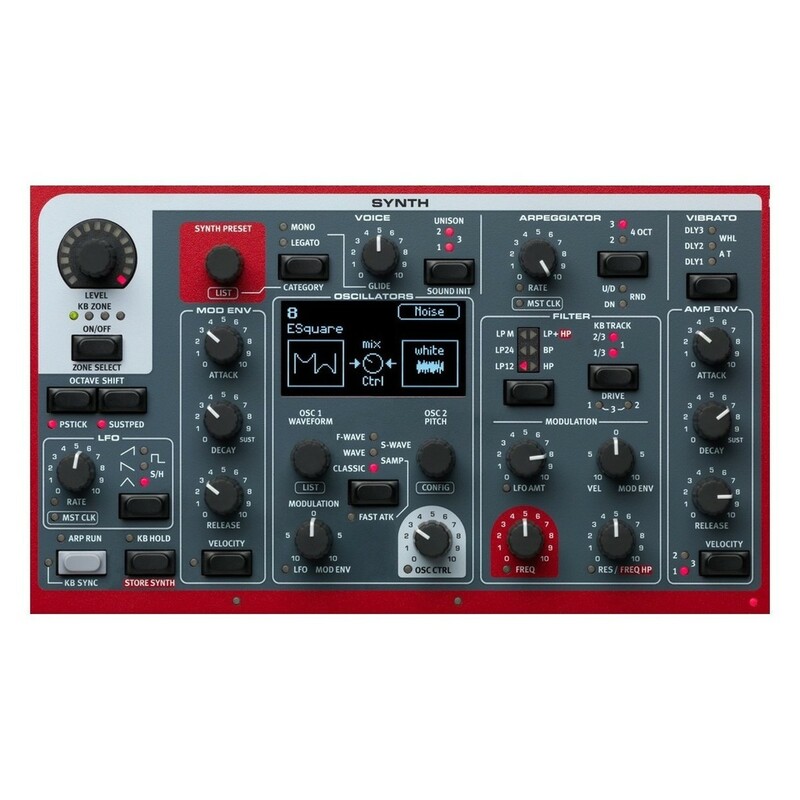 This model is ideal for the live musician requiring an uncompromised tone in a condensed unit. Nord pianos have been used by countless artists on stages all around the world. 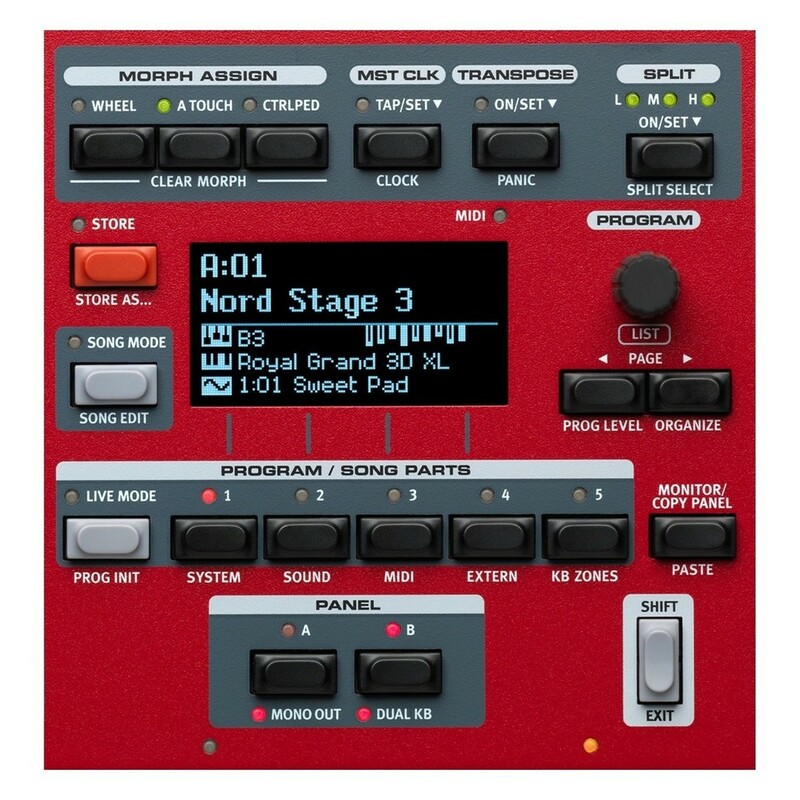 For the fifth generation of the Stage 3, Nord have upgraded subtle functions to be even easier for live musicians. The two digital screens have OLED image displays for focus and clarity in all lighting situations. The Song List feature allows you to create, store and recall specific settings instantly. These can all be accessed and individually named directly from the piano, so once you have the right setting it is available quickly. The Stage 3 also benefits from a Seamless Transition function for the smoothest and most subtle switch between your programmes and sounds. The Stage 3 utilises three interchangeable sound engines for the most creative tones available. The piano engine features six classic styles including upright and grand. The organ has the classic C2D voice as well as two completely new Principal Pipes. 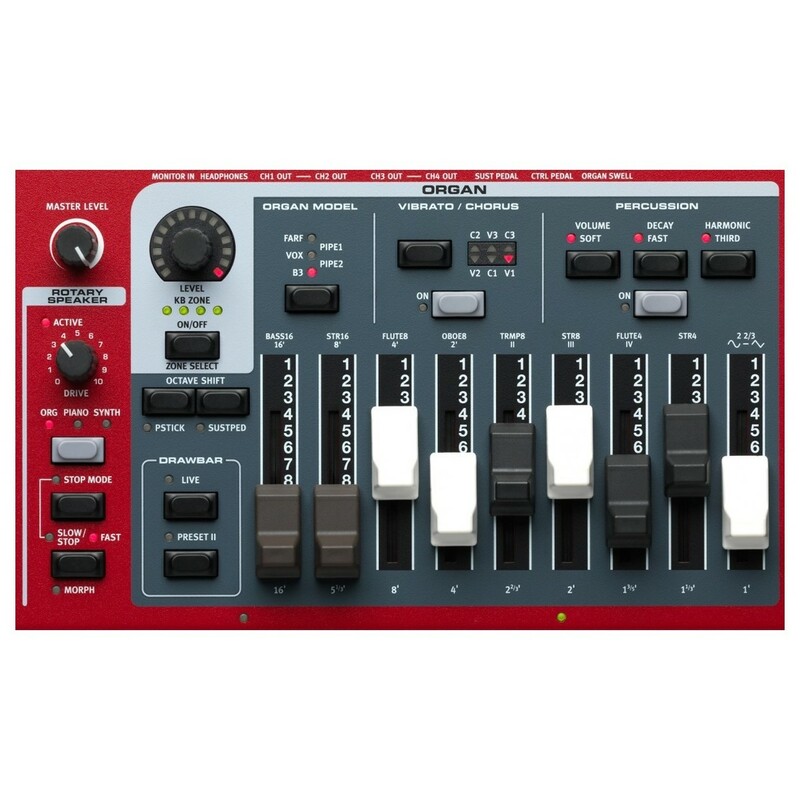 The synth section’s Lead A1 engine has become renowned for its warm, authentic tones. Each of the sound engines can be levelled with one another, as well as two organs able to be voiced simultaneously. The included sample library offers access to a wealth of voices and sounds that cover an expansive number of styles.